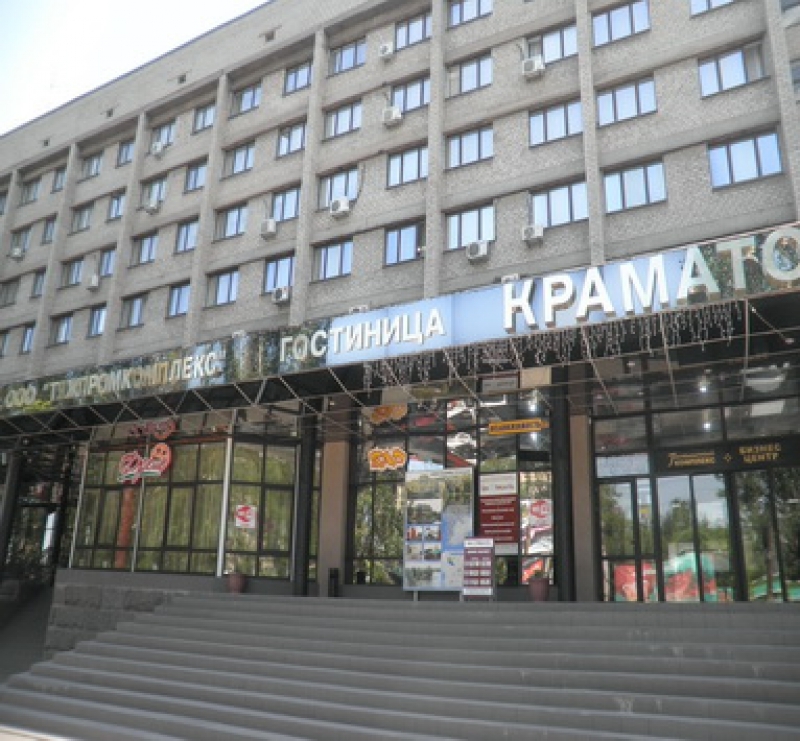 Kramatorsk - online booking - Tour operator "New Logic"
Hostynychnыy complex "Kramatorsk" Situated in the center of the city. 2, 3 and 4 floor complex took a Business Center, kotorыy raspolahaet conference room where possible by delovыh ​​conduct of negotiations, presentations, conferences. 5, 6, 7 floor complex - this inn. In rasporyazhenyy 69 guests blahoustroennыh Numbers. All rooms komfortabelnы and uyutnы. Restaurant and bar HOTELS udovletvoryat zaprosы samыh trebovatelnыh customers. Treatment system HOTELS vkljuchaet sauna, swimming pool, recreation komnatы, billiards. At 8 floor complex is on the casino.